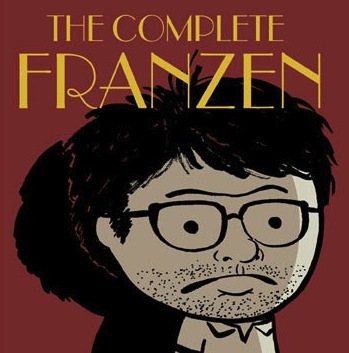 Franzen has written extensively about his relationship with his parents, particularly about the difficulty of caring for aging and dying loved ones, but I was unaware how formative the dissolution of his marriage, and the suffering that entailed, had been. There’s even some oblique yet sympathetic references to religion. It’s heavy stuff but not devoid of humor, rife with insights that translate not just to creative pursuits in general, but preaching specifically. You always reach for the easy solution before you, in defeat, submit to the more difficult solution… Eventually I realized that the only way forward was to go backward and engage again with certain very much unresolved moments in my earlier life. And that’s what the project [of writing Freedom] then became: to invent characters enough unlike me to bear the weight of my material without collapsing into characters too much like me. 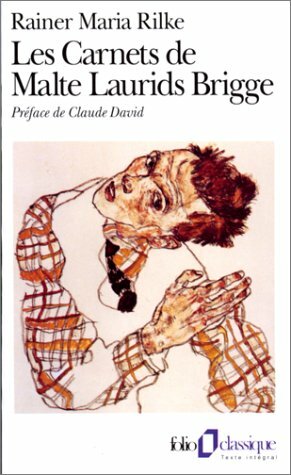 I wrote about it in The Discomfort Zone—my discovery, as Rilke puts it in The Notebooks of Malte Laurids Brigge, that I had an interior life I’d previously known nothing about... It had to do with having been away from my family for so long—with coming back and suddenly being able to see them in the framework that the German moderns had given me. It had to do with falling in love. Exhibitionism is a problem for any writer. The craving for an audience, coupled with the shame of exposing yourself to it. This is stuff that I was always tormented by and have been working through as recently as in Freedom… But I had all the clues I needed in Germany, in Nietzsche: “Everything that is deep loves the mask.”… And the long-term ambition for all my work has been to find better and better masks—to find the means to make visible and feelable the unsayable things inside me. The mask is a way to convey truth, rather than to conceal it. Rilke anticipated the postmodern insight that there is no personality, there are just these various intersecting fields: that personality is socially constructed, genetically constructed, linguistically constructed, constructed by upbringing. Where the postmoderns go wrong is in positing a nullity behind all that. It’s not a nullity, it’s something raw and frightening and bottomless… To ignore it is to deny your humanity. …the primal books for me remained the ones I’d encountered in the fall of 1980: Malte, Berlin Alexanderplatz, The Magic Mountain, and, above all, The Trial. In each of these books the fundamental story is the same. There are these superficial arrangements; there is the life we think we have, this very much socially constructed life that is comfortable or uncomfortable but nonetheless what we think of as “our life.” And there’s something else underneath it, which was represented by all of those German-language writers as Death. There’s this awful truth, this maskless self, underlying everything. And what was striking about all four of those great books was that each of them found the drama in blowing the cover off a life. You start with an individual who is in some way defended, and you strip away or just explode the surface and force that character into confrontation with what’s underneath. My first book had been published, and my wife and I had fled to Europe; things were getting hard in the marriage. And, perhaps not coincidentally, I’d fallen under the spell of religious writers, particularly Flannery O’Connor and Dostoyevsky. My wife and I began touring cathedrals and looking at medieval sculpture and Romanesque churches. Wise Blood, The Brothers Karamazov, and the cathedral at Chartres are all examples of religious art, which is neither just religion nor just art; it’s a special category, a special binding of the aesthetic and the devotional. O’Connor and Dostoyevsky venture intensely into the extremes of human psychology, but always with serious moral purpose. Because of the difficulties in my marriage, I was attracted to their search for moral purpose in emotional extremity. I imagined static lives being disrupted from without—literally shaken. I imagined violent scenes that would strip away the veneer and get people shouting angry moral truths at each other. The enemy I had in mind was materialism. The fear out of which that book was written was that the new materialism of the brain, which has given us drugs to change our personalities, and the materialism of consumer culture, which provides endless distractions and encourages the endless pursuit of more goods, were both antithetical to the project of literature, which is to connect with that which is unchanging and unchangeable, the tragic dimension of life. 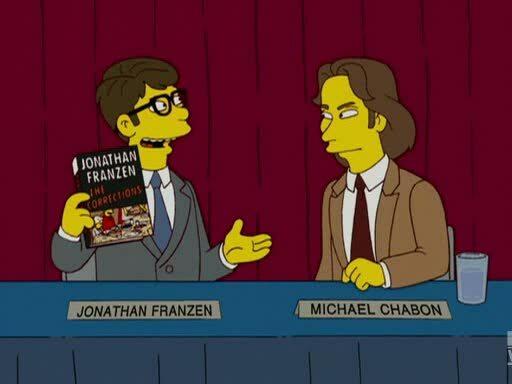 Finally, the interviewer notes that Franzen’s first two novels, The Twenty-Seventh City and Strong Motion, end with important issues still open, in contrast to the endings of his second two, The Corrections and Freedom, which are more tightly resolved. I can see that lack of resolution now as a young writer’s move. 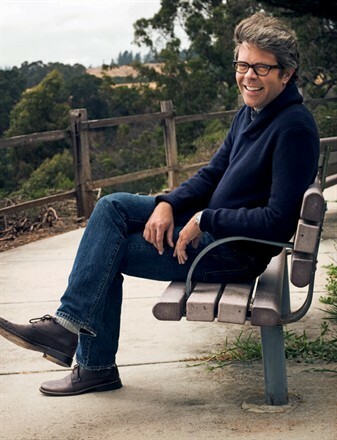 You find that you have talent as a novelist, you understand a lot more about the world than many other people your age do, and yet you haven’t lived enough—certainly I hadn’t—to really have something to say. Everything is still guessed at, every conclusion is provisional. And this came to be my gripe with the postmodern aversion to closure. It’s like, Grow up already! Take some responsibility for your narrative! I’m not looking for the meaning, but I am looking for a meaning, and you’re denying me a vital element of making sense of any story, which is its ending! Aversion to closure can be refreshing at certain historical moments, when ossified cultural narratives need to be challenged. But it loses its subversive bite in a culture that celebrates eternal adolescence. It becomes part of the problem.